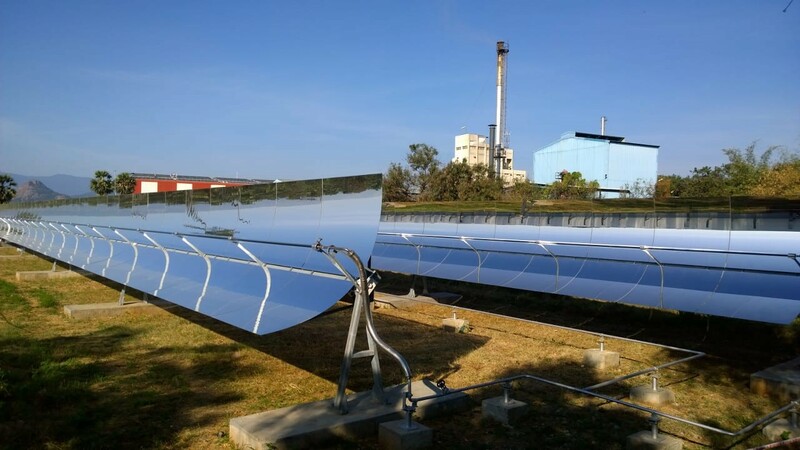 In January 2018, after 3 months of construction, the German technology company Protarget AG has successfully commissioned a solar thermal plant, at the Hatsun dairy in India. The system is delivering process steam directly into the steam line of an ice cream factory. 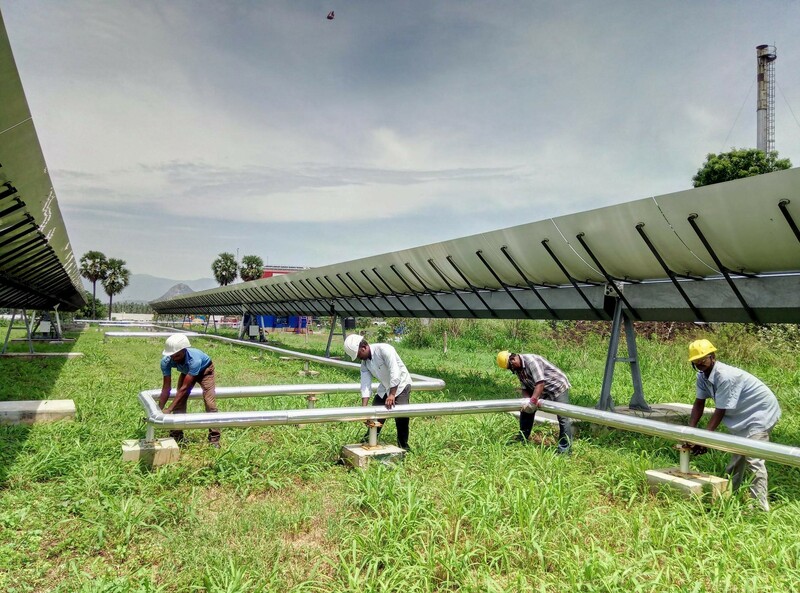 With a capacity of 320 kW, the solar plant produces 2.500 kg of steam/day and supplies Hatsun Agro Products Ltd in Salem, in the state of Tamil Nadu with renewable energy. Hatsun is India’s largest privately owned dairy with 14 production sites. The company exports its products to 40 countries and employs over 5.000 people. Protarget AG, based in Cologne, Germany is specialised in the manufacturing and construction of solar thermal plants. Their modular systems are specifically designed for industrial process heat and steam supply in regions with high solar radiation. With the installation of Protarget’s solar steam boiler system, the company is able to generate its thermal energy, that is required for the production of milk powder and ice cream, significantly cheaper than with the existing coal fired boiler system. According to Hatsun, this project will reduce the dairies coal consumption by more than 1.000 tons in the next 10 years, resulting into a reduction in CO2 emission of 3.000 tons in the same period. As one of India’s first companies, Hatsun has joined the RE100 global initiative in early 2018. The aim of this campaign is to unite influential companies around the world who are committed to the use of renewable energy. Among the participants, there are companies like Apple, Google, SAP, Tata Motors etc. Hatsun has committed itself to meet the total energy demand from renewable sources by 2032. Currently the company meets ca. 82 % of their power needs from environment friendly sources. 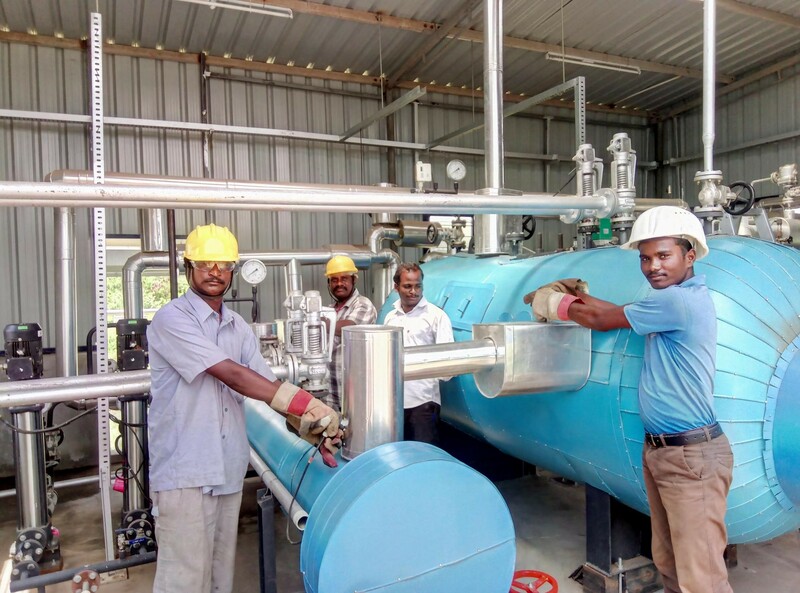 As part of their strategy towards a fully renewable supply of their production facilities, Hatsun and Protarget are planning to extend their activities and apply the solar steam boiler technology on other Hatsun production sites in India. Aim is to equip these systems with protarget thermal storage technology, in order to fulfil the industrial demand of a 24/7 energy supply.